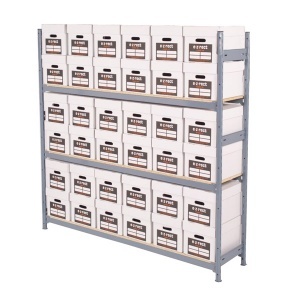 Our commercial grade archive shelving units offer incredible strength and durability, giving you complete confidence to fully load the racks with your archived documents. The E-Z-Rect Type 1 components of the shelving can be easily assembled with nothing more than a mallet and a flat-bladed screwdriver. 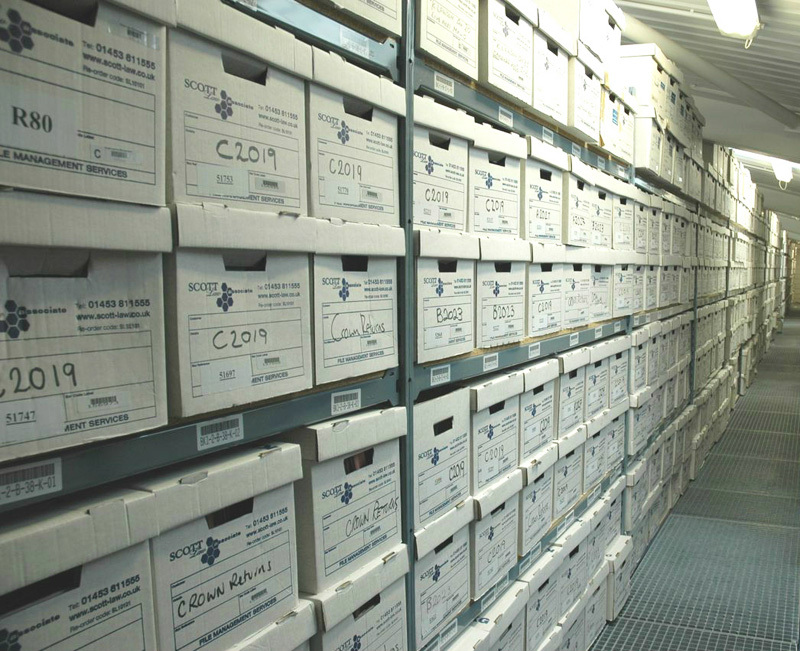 The relevant number of archive boxes are included to suit whichever size of unit you choose. The largest of which provides storage for 12 boxes per level (double stacked), choose from three other sizes to create runs of archive shelving that will fit perfectly within your storage space. 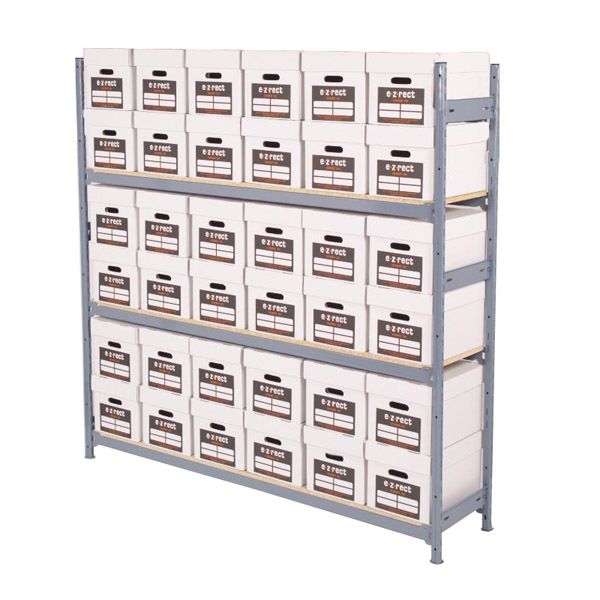 Purchase a single standalone starter bay if you just need one unit or you can purchase cheaper add-ons to extend the length of the starter unit - This allows you to create extremely cost-effective long runs of archive box shelving. Here at EZR we strongly believe that investing in high quality racking pays off in the long run, many of our customers have previously bought inferior (cheaper) racks, only to be disappointed with the quality and structural integrity and then having to purchase the racking all over again. 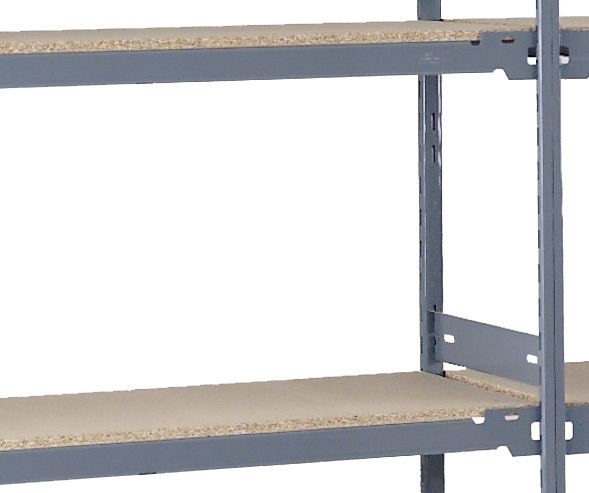 Get it right first time with an E-Z-Rect shelving system. Choose from a range of sizes and buy online or call for our free planning service on 01993 779 494. Please note: Although we include boxes with this shelving system you may wish to use your own, If this is the case please take note of the shelf width shown, this is a clear entry dimension that will dictate how many of your boxes will fit on each shelf. 2440mm high bay also available.